My trip to Malaysia – a précis! I’m back from my South East Asia adventures, in Malaysia! Miss me? No? Didn’t even realise I was gone? Awkward!! Malaysia was, as expected, pretty epic. We crammed in a whole heap of stuff during our visit, and I have a whole heap of photos and blog posts to write about things we did but, until then, here are some facts and highlights of our hol! Our trip was for 9 days / 8 nights, during which time we flew 21,870 miles on 4 different flights. Stayed in Batu Ferringhi on Penang Island, and Kuala Lumpur on the mainland, also visiting George Town and Air Itam in Penang, and Gombok just outside KL. Ate Chinese, Malaysian and Indian food from places that you wouldn’t touch with a barge pole in the UK, but were some of the tastiest food ever! I hope everyone is doing well – let me know what’s been going on with you! 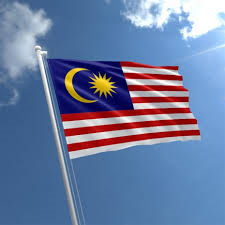 1 Comment on My trip to Malaysia – a précis!